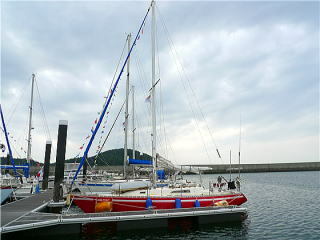 In Setouchi waters, Nio Narina is said to be a safe harbor to the typhoon. 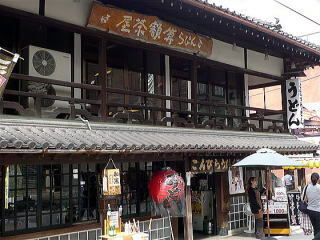 The town of Nio has a long history with Nio castle. 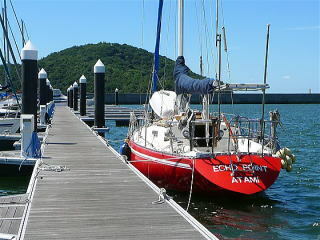 The marina has a beautiful background of blue sea and green forest. 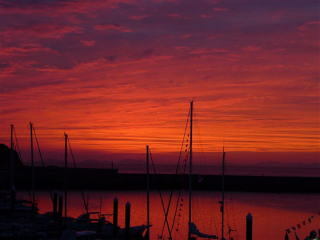 You should watch bright colors of the sunset at the marina. 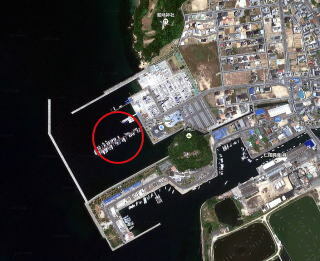 When you visit Sea God shrine, Kompira-san, Nio marina must be a best safe harbor for your boat. The marina house has a cafe and BBQ area.